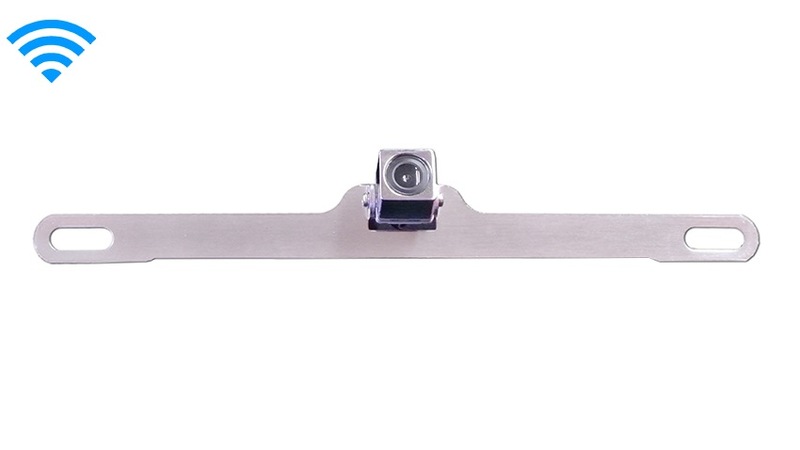 This wireless license plate camera gives you a detailed high-resolution picture in full color so that you have an unobstructed view of what is behind your car. For night drives, just use the military grade night vision to see the dark roads. You have the option to switch between full-time mode, or you can set it to turn on when the vehicle is put in reverse. Our wireless system is the only one available that is completely reliable, and you can trust it to send a signal up to 70ft. You don't need any technical skill to install this wireless license plate camera. Just remove your license plate, place the camera behind it, and then screw it back on. The camera peeks right over the top for a secure, clean look. The wireless technology means that you never have to fuss with cables. You can have this camera up and running in just a few minutes. All of our cameras and monitors are compatible, so just choose the products that meet your needs and you are ready to go. It really is that simple. You can depend on this camera to last. It is completely weatherproof, and the rugged casing can take a beating. We are proud to be able to offer cameras of this caliber at such a reasonable price. We give you 30 days to return it if you have any problems at all, so order with confidence. If you have any questions or issues, just give our expert customer service a call at (866) 966-5550 ext. 2 any time of day or night. Place your order online, today, and start using this exciting technology to improve your vehicle's safety.